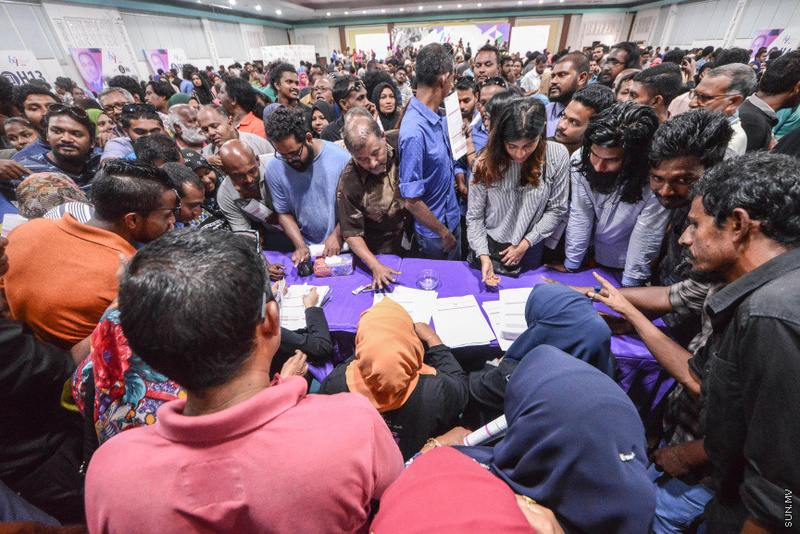 Collection of application forms for the government social housing project, Hiyaa, has resumed after Eid al-Fitr holidays. Media consultant for Ministry of Housing and Infrastructure, Ahmed Fazaal said application forms will be accepted by staff at Rannabandeyri Malaam of Dharubaaruge from 10:30 am to 4:30 pm and 8 pm to 11 pm from this Monday to Thursday. Fazaal said times for application form collection from after Thursday will be announced at a later date. 20 application form collection counters have been established at the Rannabandeyri Maalam. Fazaal says the ministry has been able to avoid queues and overcrowding so far. Token to submit forms need to be taken via the QueueBee app. QueueBee, which allows users to get queue numbers using smartphones is compatible both with IOS and Android phones.